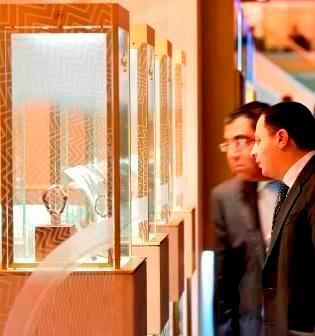 More than 100,000 manufacturers, enthusiasts and vendors of watches, jewelry and precious stones flocked to Baselworld 2011, which from March 24-31 occupied six large buildings within the vast Messe complex at the center of Basel, Switzerland. 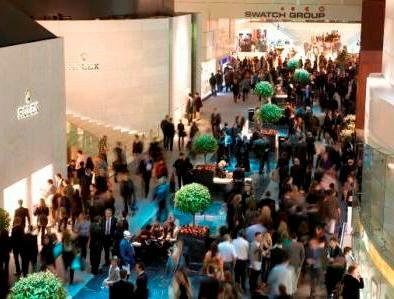 If you’ve never attended Baselworld, it’ll be difficult for you to visualize the luxury, the enormity and the thrill of this annual watch and jewelry trade show that has become a carefully guarded tradition for many and that features such legendary brands as Breguet, Chanel, Gevril, Gucci, Harry Winston, Patek Philippe, Rolex, Salvatore Ferragamo, Tiffany & Co. and Versace. Booths at trade shows typically consist of a small exhibit, a couple of tables and a few chairs. 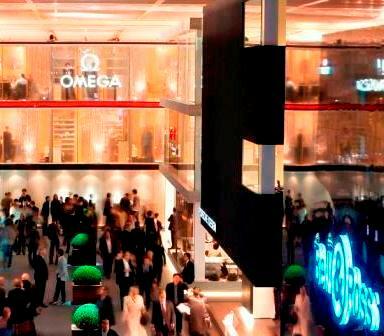 By contrast, booths at Baselworld or stands, if you prefer that nomenclature, are elegant boutiques as lofty as three stories high, replete with reception desks, display cases, conference rooms, and refreshment areas. Visitors to most booths sit and enjoy a variety of beverages that include coffee and water “with or without gas,” in Baselworld-speak. Imagine more than a thousand of these exquisite venues housed in half a dozen massive edifices and countless people from the world-over milling about, studying displays, taking snapshots, exchanging business cards and conducting meetings. Imagine too a wide variety of eateries and shops dotting the grounds with trolley trains called “trams” streaming by. 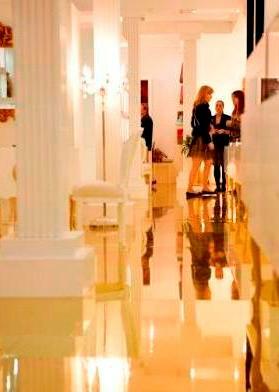 This is Baselworld! Thank you to Baselworld Photos 2011 for use of the set of indoor photos.